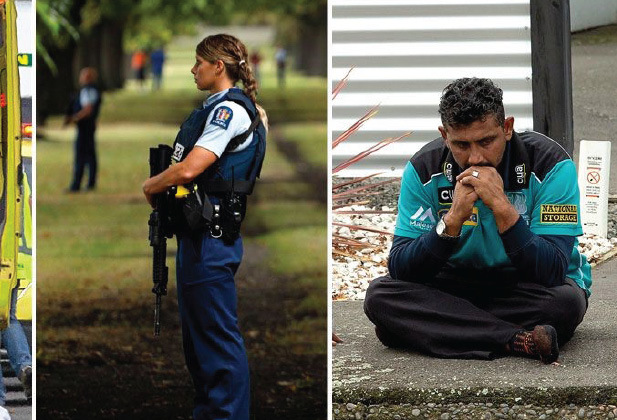 The tragedy in New Zealand is an attack on religious freedoms. This attack was planned and carried out by a crazed terrorist on the very fundamental values we treasure as human beings. The senseless murders of these innocent souls is beyond the human capacity of understanding. The Prime Minister of New Zealand, Jacinda Ardern, has become the face of true leadership in the face of the most violent terrorist attack facing her country. Her empathy and stoic determination in supporting the families of the victims has won her admiration from around the world as New Zealand comes to grips with the aftermath of the unprecedented attack on the mosques. What can we do to prevent such a catastrophe from happening in Canada? Religious organizations in BC, in particular the BCMA must determine a viable course of action to discuss the future of our community, our safety, our security and the protection of freedom to practice our faith in our mosques. This issue is beyond the scope of a few executives at the BCMA. The mosques under the BCMA are not equipped to handle and proceed with drastic measures to protect our members. The Security Infrastructure Program put in place by the Canadian government provides funding to help secure our places of worship. It is unfortunate when places of worship must concern themselves with ensuring the safety of its congregants but all of us know the toll that Islamophobia has taken on Muslim families and the continuing crisis it presents. Places of worship must be sanctuaries of peace and reflection not hate and intolerance. My suggestion is we should have a security card for each member. The ID card can be sold for $5 and the card must be swiped at the door before entering. No one without the ID card would be permitted to enter the masjid. This is not an easy or painless system to put into place but for the sake of the security of our members, we must pursue procedures that must be implemented. The BCMA must be the leader in organizing a widespread plan of action which would require the Executive to include past and current members to commit to a strategy for the benefit of our community. Please put the differences aside and collectively come together and put a security plan in place for every member of the BCMA. Let us show true wisdom by being vigilant in the face of any security risks. Let us not be penny wise and pound foolish.